Compatible with Logos Management, Design Manager, Juris, EZ-Camp by Softerware Inc, EZ-Care by Softerware Inc, Sedona Office and many more. Your personalization options shown in steps 1 and 2 using standard default type styles / fonts, sizes and type positioning (regardless of your provided sample) on this standard product template item number. This is a 1 part laser check divided into 3 sections by 2 perforations. 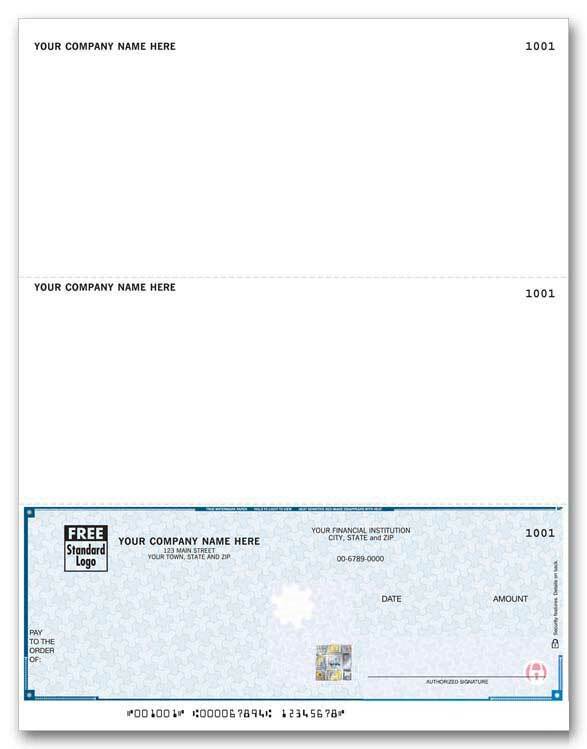 Paper size is 8-1/2" x 11", check size is 3-1/2" with the 1st perforation at 4" and the 2nd at 7 1/2".